Head over to Plum District to get $19 for $40 Worth of Baby and Toddler Products from Bumkins. Sign in or sign up for Plum District (It’s Free) and select â€œEverywhereâ€ as the location. Bumkins Finer Baby Products makes bibs, bodysuits, jumpers, tees, and more. Bumkins may be best known, though, for its easy-to-use cloth diapers. Daily deals Jun 27, 2011 in baby, family, PlumDistrict · Expired! Free Tidy Tots Disposable Potty Liners! I think I’ve told you that our daughter is officially potty trained. However, up until yesterday she has never used a public rest room. Which means, I carry a potty in the back of our car. I think I had to be the first to sign up for this freebie today! Get a FREE sample of Tidy Tots disposable potty chair liners here now! If you’ve already tried these and want to order them, you can get a 16 pack on Amazon for only $9.99. Shipping is FREE with Amazon Prime/Amazon Mom or an order of $25 or more. Wow, here’s a great deal for DiapersDirect.com. Get a $50 Diapers Direct voucher for just $25! Shipping is also free and since this is an online deal, anyone can take advantage of it. Head over to Groupon to get the offer. Limit 1 per person. Limit 1 per order. Not valid until 6/7/11. Online only. Daily deals Jun 4, 2011 in baby, family, Groupon, kids · Expired! Head over to Mamapedia and get this great deal. Get $30 for $15 to Totsy.com. Totsy is also offering 10% off when you use coupon code JUNE10 at check out. Anyone can get this deal since Totsy is an online provider. They have really great stuff for moms, kids and baby! Daily deals Jun 1, 2011 in baby, family, kids, Mamapedia, Totsy · Expired! Head over to Plum District to get a $30 gift certificate to use on all things baby and kids at Totsy for only $15. Sign in or sign up for Plum District (It’s Free) and select “Everywhere” as the location. Totsy is an online store so anyone can get this deal. I’ve personally ordered a ton of things from Totsy, mostly my daughters shoes and fancy holiday dresses. This offer is going through 5/29/11. Daily deals May 27, 2011 in baby, kids, PlumDistrict, Totsy · Expired! Now this is an item I would stock up on if we had a Kroger store. Kroger has Kandoo Wipes on sale for $1 each. 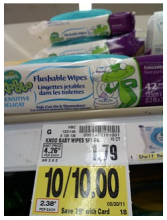 You can use the $1 off Pampers Kandoo Products getting these wipes for FREE! This sale ends 5/30. Final price: FREE after coupon! Doodledeals: $15 for $30 voucher to Totsy! I have been using Totsy for some time. I have to admit, I was disappointed in how long it takes to get something shipped. Just recently I ordered a pair of shoes and a dress. Both arrived very quickly, so maybe they’ve fixed some of their past issues. Today on Doodledeals you can get a $30 voucher to Totsy. Totsy has some really great deals. It’s not like other daily deal sites. Totsy offers 4 or 5 different retailers who then have several items to choose from. I order all of my daughters shoes from them. I get $36 shoes for only $12.50. You really can’t beat that. Daily deals May 17, 2011 in baby, kids, Totsy · Expired! New Pampers Gifts to Grow Code! Today Only! 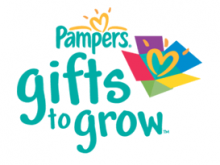 Here is a new 10 point code for Pampers Gifts to Grow. If you haven’t signed up yet, you should. Get your free Pampers Gifts to Grow account now! Pampers has some great gifts to redeem with your points. If you’re new to Gifts to Grow, check out my post about the Pampers program and sign up. This code is good for today, May 8th only. I have never seen one of these but think this is the greatest idea! Now that I have a toddler, getting her to “hold my leg” while I get my items into the car can be difficult. The Parking Pal works simply: you place the colorful magnetic decal on your car’s exterior, and encourage your kid(s) to place their hands on the brightly colored hand illustration there while you load up the car. Head over to Gaggle of Chicks, they are offering this Nationwide deal at 30% off plus shipping! There are two really great Huggies diaper coupons available over at Coupons.com. These coupons reach their print limit very quickly so if you think you’ll need diapers anytime soon, print these and keep them with you! Remember, it’s free to print these coupons!